Panasonic has been delivering one of the best electronic devices for a lot of years now. The power, durability and performance capabilities are just right for the amount you spend on any product. Massage chairs are one of the least known but the best productions of Panasonic with enhanced technology and quality. 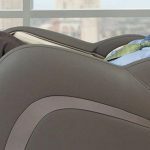 The real pro ultra massage lounger is endorsed exclusively by the American Chiropractor Association (ACA) which is the largest association in the world representing doctors chiropractic. The endorsement proves directly about the various health benefits of the real ultra pro massage lounger offering an ideal compliment to the chiropractic manipulation. The chair using the pressure using ultra scan technology creates a virtual map of your back and makes the massages on the back accurate to all the acupuncture points. The chair has a 5 minute quick refresher program which has been very effective for even the long day tired people. It is reviewed as the program with rejuvenating powers. 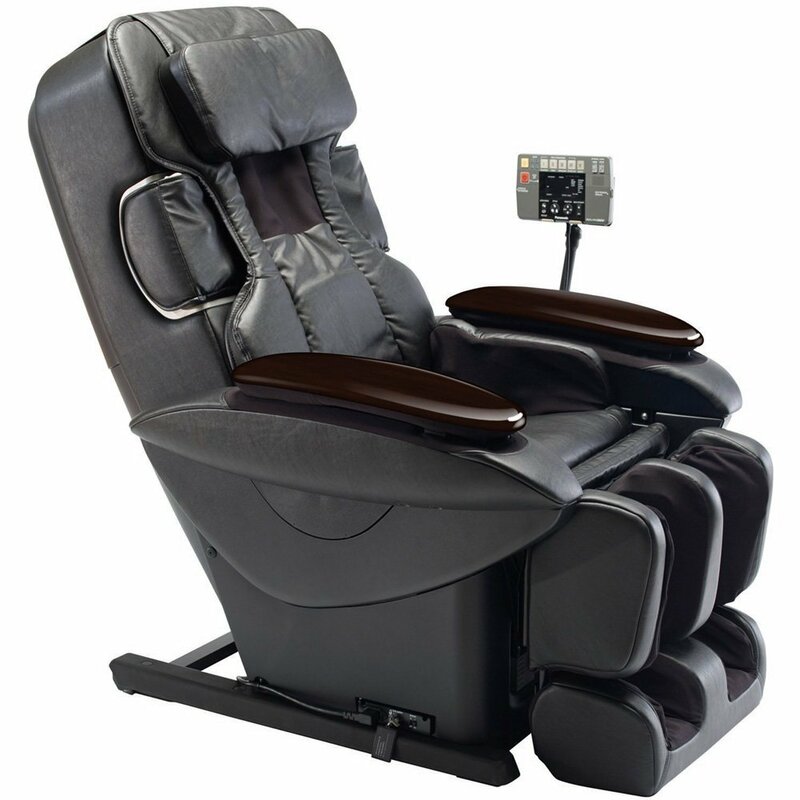 The massage lounger has pitch black upholstery which is made of dark faux leather and is quite strong as well as comfortable. There are 5 pre set programs and 8 manual programs to select from which is a great variation available in a lounger at this price range. The chair comes with 36 total airbags which concentrate on every part of the body including feet and neck. The special concentration of the airbags is on the gluten area, back, shoulders and waist which are the first stress relieving areas. The lounger is equipped with Junetsu technique to provide deep tissue massage as well as a cure to the pain of the spine. The automatic body scanner scans the S shape of the spine and provides accurate Junetsu massage. The memory for 4 people is available although it is set for 6 programs for each person thus making the memory extend to 24 programs which is very necessary in the manual selection lounger. Again, at this price range most of the massage chair manufacturers provide the heating option with a body sensing technology inbuilt. This model does not have that feature and thus lacks the heat in the market too. Panasonic is no longer making products in Japan and is outsourcing their products to be made in China. Though, the trust mark is still intact for Panasonic customers, there is a slight con in this lounge and a preference to EP-30007 model can be given instead. This product has been in the market for over 14 years and still it does not have enough reviews. This may lose the attraction of the users towards this product. If you are looking for a lounger which has a great back massage feature then this chair is just the right thing for you. At this price, these loungers have become the most demanded massage chairs for office purpose. The heating feature is absent but the Junetsu massage technique and 5 minute quick refreshing program are two key fillers in that pot of lags. So, for people looking for an office massage chair, this one is perfect but the household ones can go for a better option that is EP-30007 model that lies in pretty much the same range.